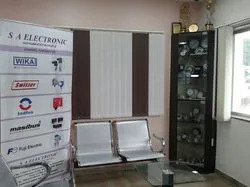 We, S A Electronic, Pune started in the years 1999are one of the foremost wholesaler trader of an extensive array of Engineering Equipment. Our offered range consists of best grade Wika Level Transmitter, Wika Temperature Transmitters and Wika Pressure Transmitter. To manufacturing these products, our vendors use quality norms and top grade materials and modern machines. These products are highly appreciated in the market due to their features like perfect finish, damage resistance, lightweight and durability. Also, the offered range is demanded in the pharmaceutical, chemicals, engineering, automobile, and plastic industries. Since the incorporation of our business, our all assortment of products is procured from the most reliable vendors. Also, the persons we appointed have wide experience of their specialized wings. Due to the relentless work of our employees and vendors, we have gained the trust of numerous customers. Our patrons like us for our large distribution network and sound financial position. With the support of our professionals, we are able to gain a trustworthy relationship with our clients in short span of time. Under the direction of our mentor, Mr. Sandiip Lohiya, we are able to create a huge patron. Also, we have been able to gain prominence in the industry, owing to his organizational skills and ethical business policies. Trading of Digital Indicators, Electrical Switches, Calibration Equipments etc. 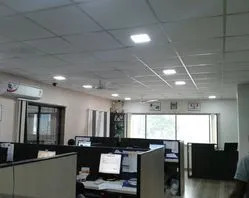 Our presence of more than a decade in the industry has provided us with the necessary expertise in our domain, which has helped us in supplying our clients with products that are manufactured as per their specific needs. In our endeavors towards offering products that are in exact tandem with the requirements of our customers, we provide them with turnkey solutions for our range of Pneumatics & General Purpose Engineering Instruments. We are one of the consistent organizations in this domain. We are offering an exclusive range of engineering equipment that is designed and developed as per quality standards at our vendor’s end. Apart from this, we ensure timely dispatch of our products within the set time constraints. We are blessed by the god with the brilliant team in our company who are working to cater the ever-growing demands of our clients. Diligent persons are the assets of our company. Additionally, we conduct training sessions to make them abreast of the upcoming technologies and changing trends in the market.